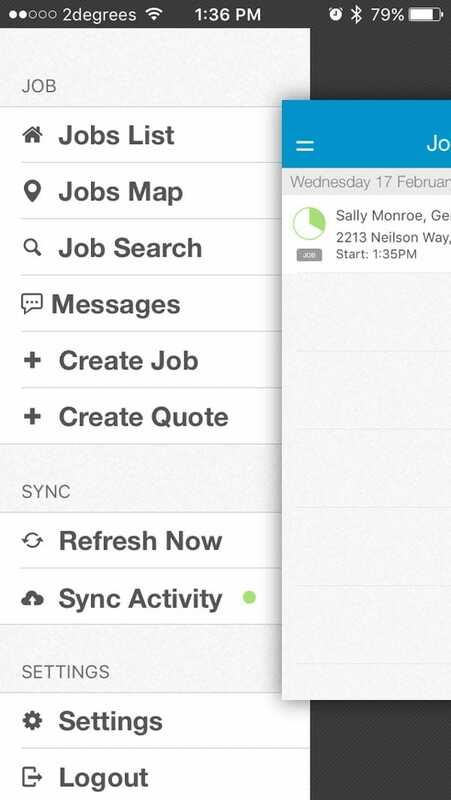 Improve collaboration and teamwork and connect your workers with in app messaging, alerts and job status updates. 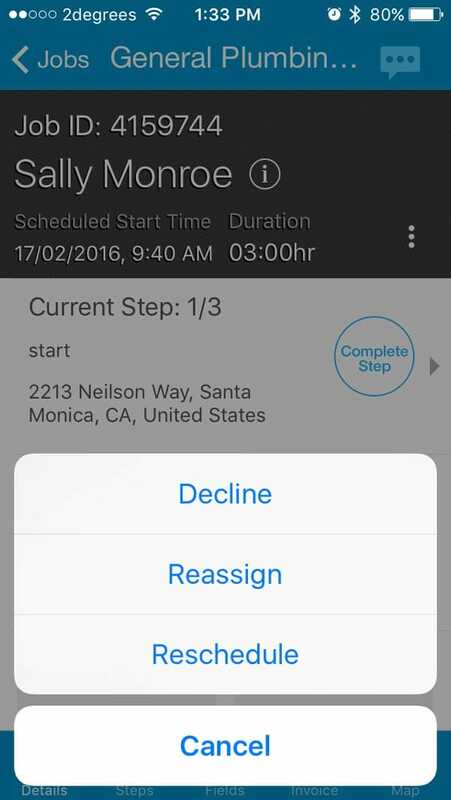 As workers complete tasks or update job information, the dispatcher is notified in real-time. 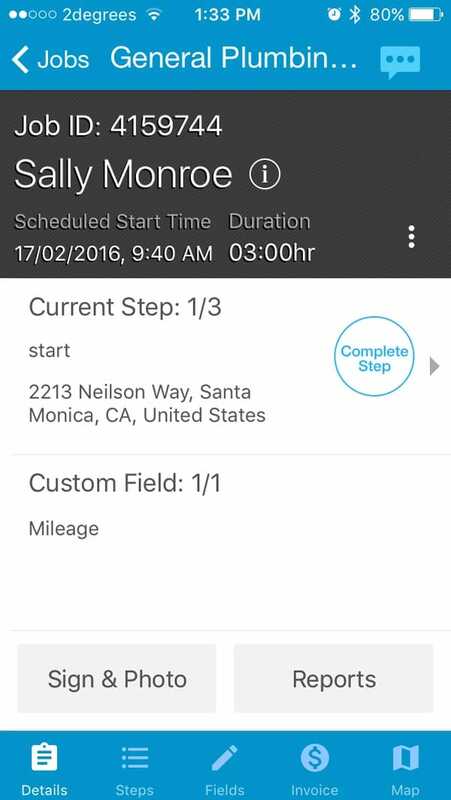 Customers can be automatically updated that a worker is minutes away. Job hours, customer signatures, photographs, step completion or basic job information. Digital data capture means no more double entry. Save time and money. Our software has been designed with ease of use in mind. If you know how to use a smart phone, then you already know how to use vWork. 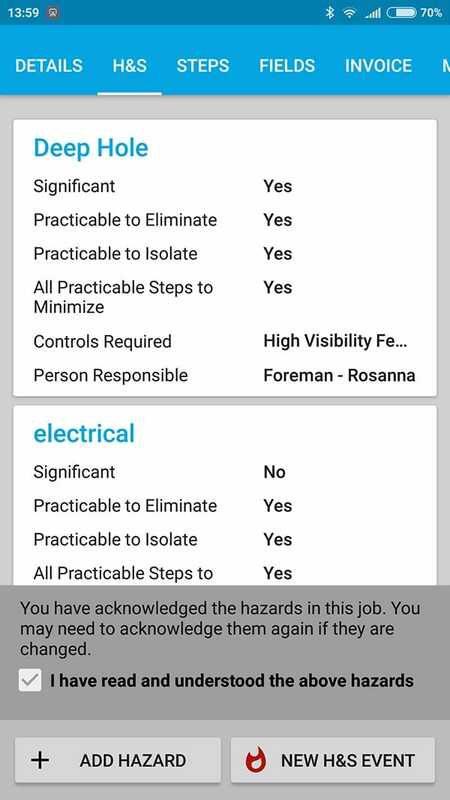 Health and safety in vWork allows your workforce to acknowledge and be aware of risks, easily alert others and report on accidents. 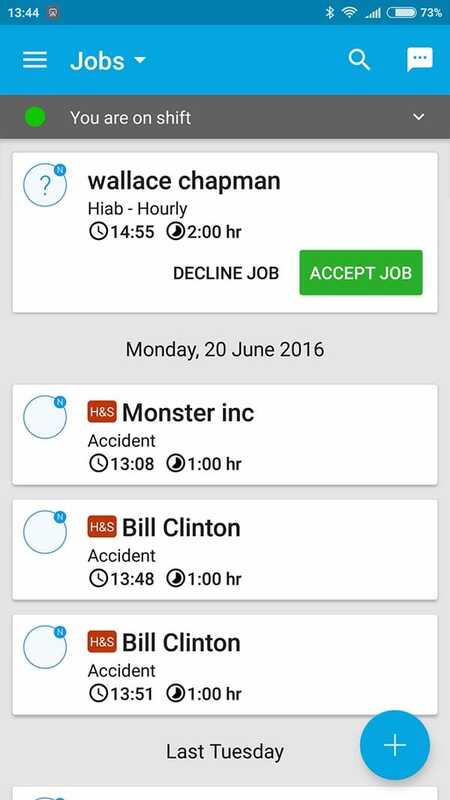 Your mobile workers can now easily signal whether they are available or unavailable for jobs via their smart phone. 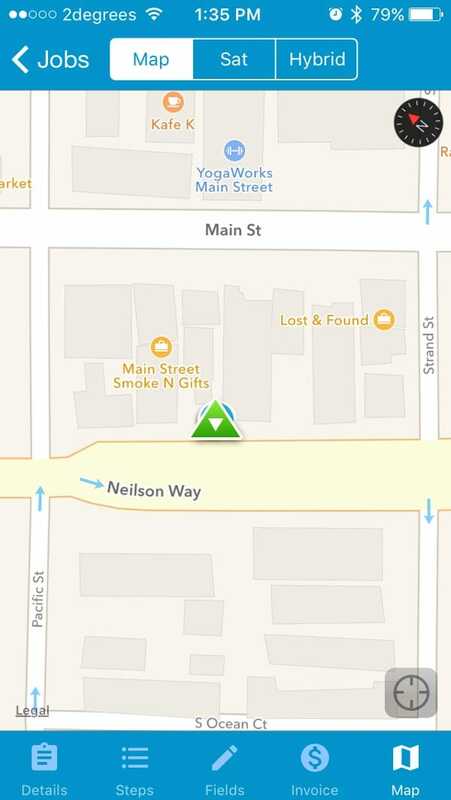 Workers location, speed and direction are shown on the map. 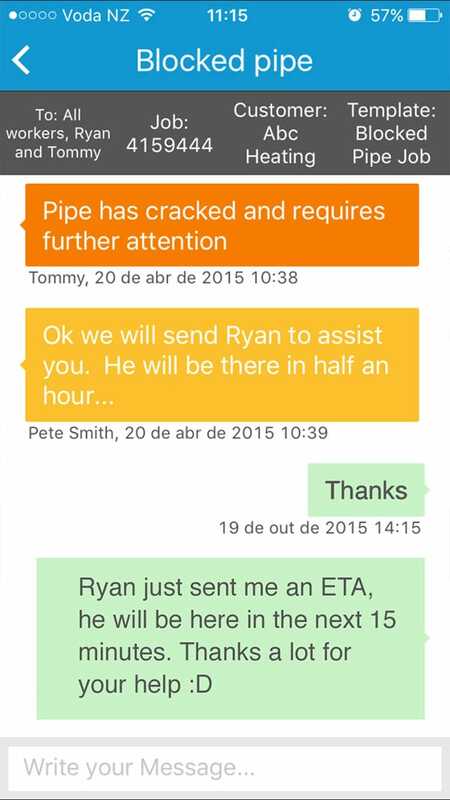 See exactly what is going on at any one time and make informed decisions regarding your workers. 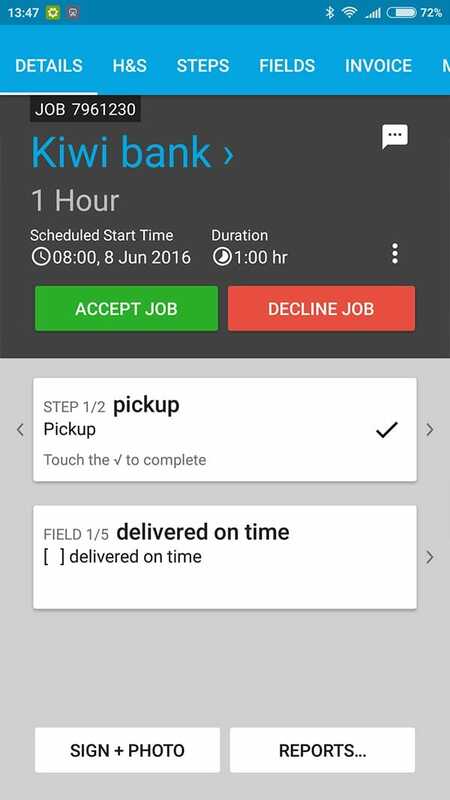 Enable workers to create additional work while out in the field and ensure timelines and schedules are not compromised by unexpected extras. Workers can either accept or decline jobs based on their availability. Scan barcodes & QR codes to capture information in the field. Visualize job locations and identify incorrect address details. 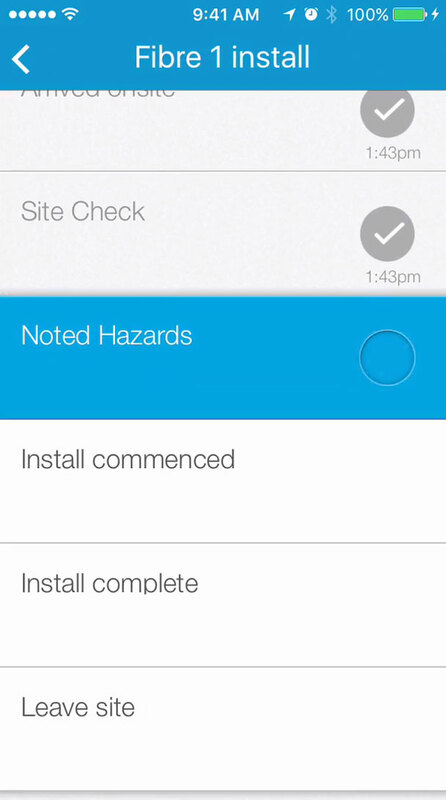 vWork saves all your information and sends it when you back in coverage. 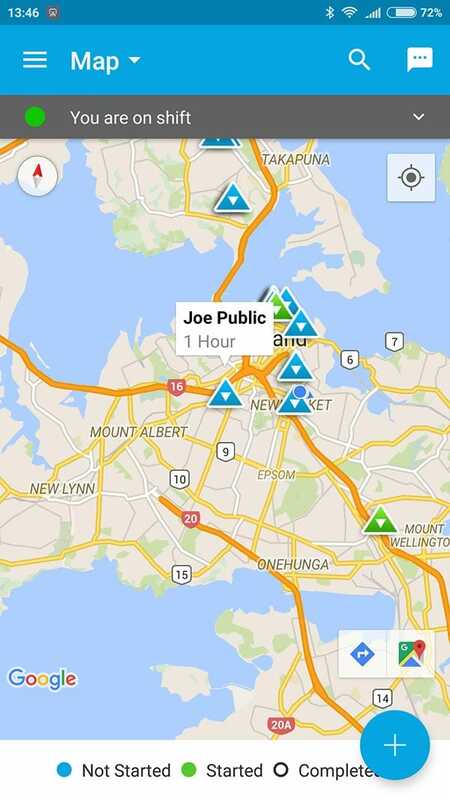 Identify workers locations or verify workers hours for payroll. Alert workers when a job has been assigned to them or been updated. vWork works over the internet - all you need is a telco data plan. 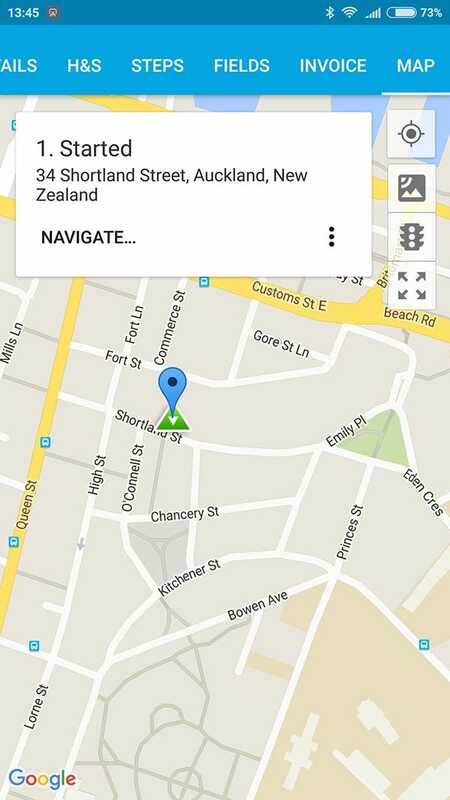 Enable turn-by-turn voice guided navigation to addresses.